Need money for college expenses? 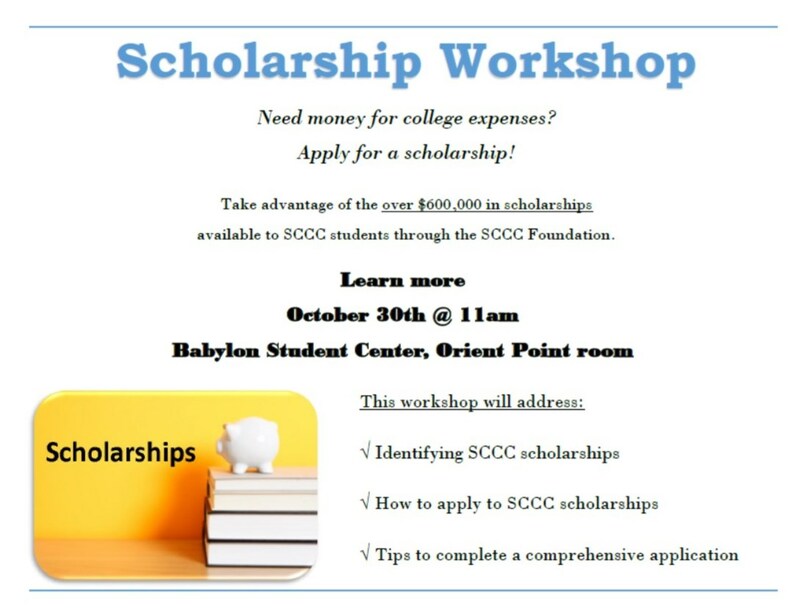 Take advantage of the over $600,000 in scholarships available to SCCC students through the SCCC Foundation. Posted on September 11, 2017, in Events and tagged Education, Financial Aid, Free, Long Island, Scholarship, Selden, State University of New York, Students, Suffolk County Community College, Workshops. Bookmark the permalink. Leave a comment.